I bet the first thing that came to most of your minds from reading the title is “I’m already in a healthy relationship, so no need to read this blog as it does not pertain to me.” But are you? Do you not fight, not argue, get upset, aren’t ever insecure, jealous and more? Do you still glow with fire, and keep adding logs to it so it always gets better? If you aren’t, this blog is for you and will cover the basics to getting you back into that healthy relationship. There are many steps that need to be taken and remembered on a regular basis to allow for your relationship to be a nice part of your day every day and in this blog we will cover the three most important. The first is remembering why you started the relationship in the first place. This will allow you to trace your steps back to those first moments. Maybe you started dating because that persons made you glow with the best smile day in and day out. Or maybe it was because they provided comfort to the worries that you face each day in life, and made you feel at peace. Or maybe it was because they gave you a sense of direction in life, and a small purpose to what your life was about. Or how about because they were willing to go on the crazy adventures in life together with you. There are millions of different reasons this could be, but make sure you remember what it was and write it down. Write down all of them. Now that we are remembering why we are in our relationship we move onto step two. Step two is understanding why you are in the relationship. Think about this. Why are you in the relationship? Good chances are because of the reasons that fell into place of why you started it. That person probably makes you smile, loves doing the weird stuff you enjoy, is there as a partner in crime, and has your back more than any other person. This makes you want to be around them at all times, makes you willing to do things you normally wouldn’t do, and lets you mold yourself around that person. 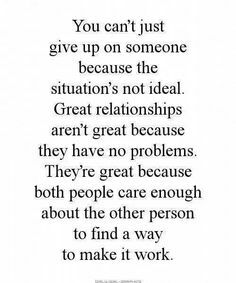 This is important because it needs to be the back bone of your relationship. Anytime that you feel you might start a fight, get annoyed or angry, or allow yourself to make that other person feel anything other than awesome is when you need to think about this. If a fight is starting, stop it. Even if you have to be the sucker at that moment it feels way better then leaving with slamming doors, crying, getting so mad you scream, and most important of all disconnected from that person. It hurts when we let fights blow up, get carried away and out of control over the dumbest things. Fighting is just one example though. We need to not get jealous, insecure, loose trust, or be dishonest. This other person is our other half. They are there for us so they need to know we are there for them. We tend to let our minds float so much that it jeopardizes our happiness and creates things that aren’t there. So stop it. Have full faith and trust until proven wrong. PROVEN WRONG. Not just an idea, a thought, a thought from someone else, or any other stupid thing that we come up with that ruins the relationship when it is going perfectly fine. So now that we understand what we are doing we are ready for step three. Step three is always building the fire in your relationship as the days go by. This is simply just not letting the glow fall out of the relationship. Don’t get so consumed in life around work and its challenges that you lose that fire in your relationship. This fire should start with a leaf, turn into a camping fire, then over the years develop into a forest fire that is out of control. It should be lighting everything up as it passes. There shouldn’t be a second in your day that you don’t think of fun ways to make that person smile, good ideas of things to do that next day with them or for them, and reasons to make them light up when they see a text from you. We need to make sure we don’t forget that this is the person we want to hang out with and build memories around. They are literally the person you are with the most in your day so why not make it purely amazing. 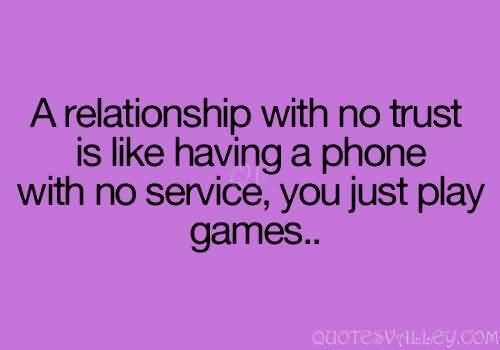 Relationships are meant to be fun. We sometimes forget and let ourselves get carried away by our corporate lives where we wake up, struggle to get the day started, go to work all day, get off thinking about how we can’t wait for the weekend, forget to tickle our other half, then go to bed exhausted for it all to begin the next day. Wake up, smile, laugh whenever you can, give good hugs and kisses to that other person, and enjoy life. You should always make plans that will build the memories for the best life. Life is short, now get out there and make it happen.